In the Department of "Mail of Russia" the parcel will be stored for 30 days from the moment of its arrival. Once the shipment arrives at the office, the employees immediately write a notice to the recipient. After 5 days a notice is sent to the secondary. If the recipient never appears, the parcel is sent back, the sender must pay all additional costs. The work of "Mail of Russia" is governed by "Rules of rendering of postal services". According to them, to receive the parcel, you need to show the document proving the identity. Then the recipient must complete a receipt, which must specify its data and actual residence address, if it does not match the address of residence. Mail definitely weighed. If everything is in order, then the recipient may pick up the package. Parcels are not delivered to the house. Instead, from the accompanying Blanca off special part, which is called notice. Sign it in the office, and then postmen carry such notices, leaving them in the cells of the post cabinets in subscription boxes or in mailboxes at the addresses to which packages were sent. 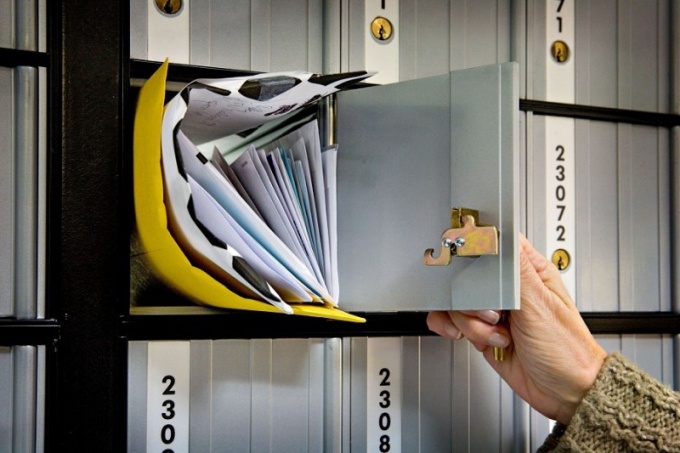 Storing mail in the postal division made within one month (30 calendar days). If all this time the addressee of the parcel did not come, it is sent back. The sender must obtain it by paying additional costs associated with re-shipment. If he refuses to pick up the package and pay the additional costs, it temporarily goes to the list of unclaimed mail and some time is still stored in the Department or elsewhere (depending on the dimensions of the parcel, its contents, if known, and many other factors). If the recipient is not the parcel after the second notice, the office may start to charge interest. However, there is a rule that the notice must be handed over personally to the addressee, and signed by him. In practice, the secondary notice, usually just leave in the mailbox. Currently, many of the liaison offices of "Mail of Russia" has ceased to charge interest. If the package contains an inventory, when delivery to the addressee of the shipment is opened and checked in the presence of the addressee and employee offices. The addressee may waive the opening and inspection, then the address on the form accompanying the shipment, make a special mark about it. If in opening the parcel contains not all indicated in the list, and also if the shipment is damaged or spoiled, it shall be drawn in form 51-V. It is signed by the head of the liaison office. Just compiled 4 copy of the act. The first award recipient, the second sent to the place where the parcel was accepted, third, to the Director of transit of postal facility where the package came into the post office. Prepared a case on this administration, and it is the fourth instance. If the parcel is cash on delivery, before paying the receipt, the addressee has the right to ask who sent her and why.